Sustainalytics has been a key player in the green bond markets worldwide by supporting municipalities, governments and multinational companies accelerate their sustainability agenda and investment ambitions and align them with globally accepted market standards for sustainable development and green finance such as Green Bond Principles, Social Bond Principles, Sustainability Bond Guidelines, and Climate Bonds Initiative. Green bonds are a financial tool used to finance climate-related or environmentally impactful projects (such as energy efficiency, clean transportation, sustainable water management, pollution prevention and control etc.) and help the issuer transition towards a sustainable economy. Municipalities from around the world chose to collaborate with Sustainalytics to determine environmentally and socially impactful uses of proceeds and projects tailored to their sustainability context. There is a strong sustainability-related regulatory momentum in the European Union, maintained by its 2030 Climate and Energy Framework which targets the reduction of GHG emissions by 40% compared to 1990 and the increase of the share of energy from renewable sources to at least 27% of the global mix. In addition, the generalized realization that municipalities worldwide have become catalysts for sustainable development incentivized local authorities to readjust their local agenda and implement sustainable urban development strategies. These strategies tackle issues such as air, water and ground pollution; climate-induced risks; unsustainable resource consumption patterns; greenhouse gas emissions; social inequalities; and lack of access to basic services. Sustainalytics has been supporting these municipalities, mainly in Europe and North America, to develop frameworks to finance projects related to: clean transportation; climate change adaptation and urban resilience; green buildings; sustainable resource management; economic inclusion or access to education and healthcare, and to ensure that the bond proceeds are allocated, managed and reported in a transparent manner. Sustainalytics advises municipalities to always strive to achieve market best practices in all fields of investable project categories. Some examples that are in line with this philosophy are listed below. A recommendation that local authorities allocate bond proceeds, be it direct investments, grants or contributions, to projects providing at least 30% energy efficiency improvements in the assets financed, for instance to public or private building renovations including thermal insulation, remodeling, energy management systems, or to buildings corresponding to the top 15% most efficient real estate assets in one particular market. Advocacy for the prioritization of investments in real estate assets achieving top green building certification levels (LEED Gold or Platinum, BREEAM Excellent or Outstanding or similar) and which promote decentralized renewable energy generation, along with technologies for energy conservation such as smart cooling and lighting systems. Support in the identification of clean mobility solutions starting from the fact that urban air quality and climate change are overlapping issues requiring a unified response. In this sense, Sustainalytics has been supporting the deployment of mass rapid transit systems for metropolitan transportation (e.g. electrified metro systems) to incentivize an immediate modal shift from high-carbon individual transport. One example is the Société du Grand Paris Second Party Opinion in which, besides the immediate and quantifiable GHG emission reductions, the extension of the metropolitan metro system is expected to deliver complementary benefits such as a more productive use of public space and a reduction of connecting infrastructure requirements, ultimately leading to a sustainable urban densification in the Paris Metropolitan Area. Advice to municipalities to undertake climate risk studies to identify the most material climate risks they face and consequently invest in projects and technologies providing the most impactful climate change adaptation solutions. For example, the City of Malmo has identified storm flooding and the rising sea levels as the leading climate risks affecting the municipality based on climate-change studies provided by the Swedish Meteorological and Hydrological Institute. Sustainalytics conducted an evaluation of the City of Malmo’s Climate Adaptation Strategy and gave a positive opinion on the Municipality’s projects targeting a climate-adapted city planning. These projects include open water drainage systems and infrastructures improving the city’s storm water catchment and retention capabilities, which enhance the municipality’s storm flood protection mechanisms. The transition towards more sustainable cities is now supported by this powerful instrument which gained significant traction in the past couple of years. Sustainalytics alone has supported hundreds of issuers, from leading multinational corporations to financial institutions and governments. The proceeds from these bonds have helped to support many social and environmental initiatives. 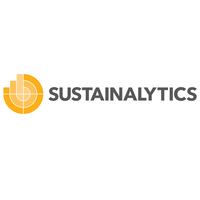 Sustainalytics is a leading independent ESG and corporate governance research, ratings and analytics firm that supports investors around the world with the development and implementation of responsible investment strategies. For over 25 years, the firm has been at the forefront of developing high-quality, innovative solutions to meet the evolving needs of global investors. Today, Sustainalytics works with hundreds of the world’s leading asset managers and pension funds who incorporate ESG and corporate governance information and assessments into their investment processes. With 13 offices globally, Sustainalytics has more than 400 staff members, including over 180 analysts with varied multidisciplinary expertise across more than 40 industry groups. Over the last three consecutive years, investors named Sustainalytics among the top three firms for both ESG and corporate governance research in the Independent Research in Responsible Investment Survey. For more information, visit www.sustainalytics.com.